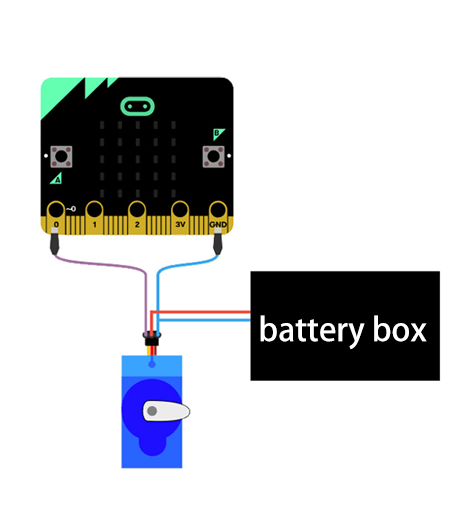 micro:bit servo motor connect board is for supplying only the power from the battery box while connecting in the same way as the wiring diagram in the simulator of the micro: bit block editor. 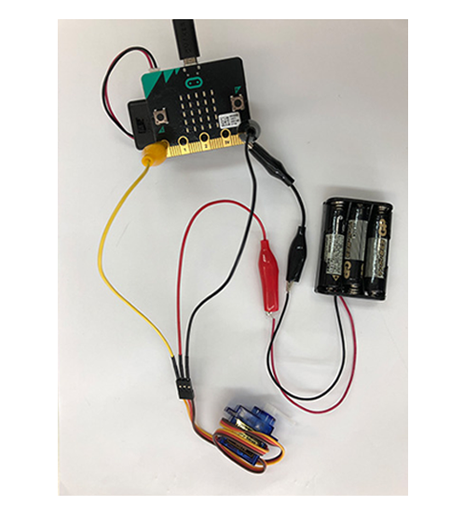 It has a resettable fuse for overcurrent prevention. 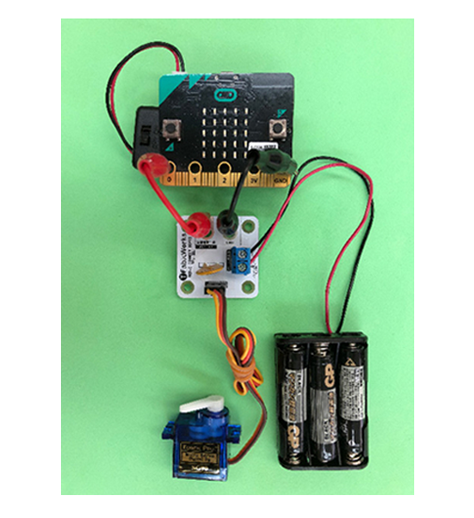 When Tower Pro SG-90, one of the most popular servo, connects wtih micro:bit like as simulator, the voltage and electric current are not enough. Need to provide another power source as a countermeasure for this. 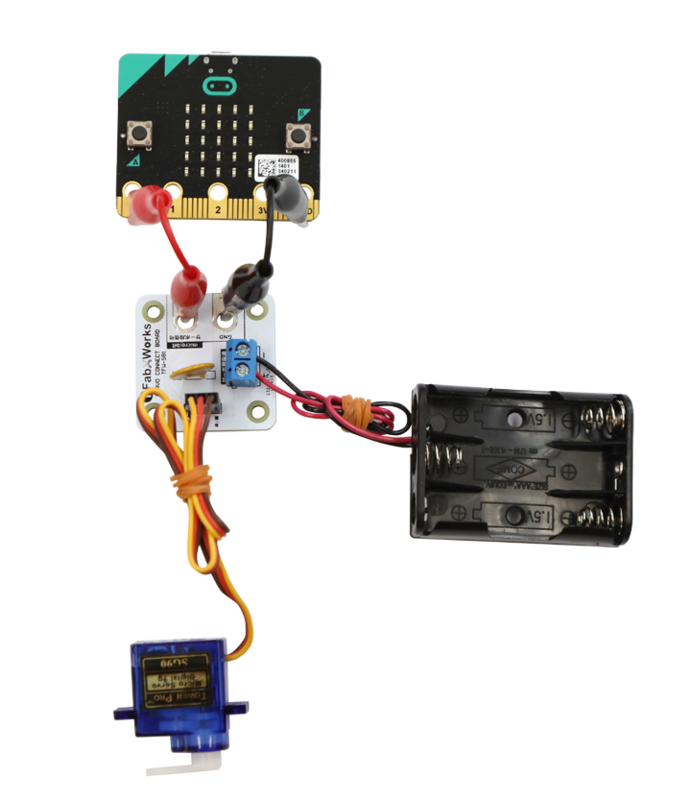 Connecting without a breadboard, complicated wiring is needed. 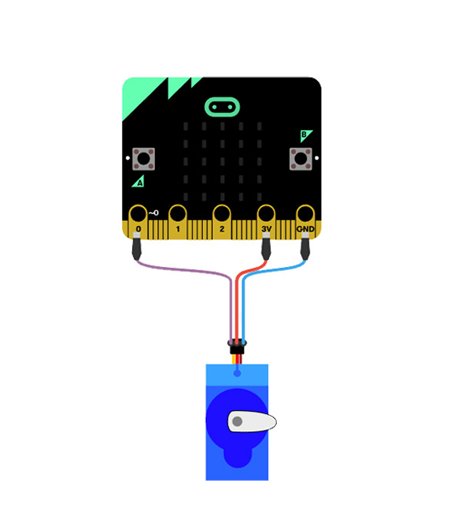 If you have a special crocodile clip that one side only is a pin, the wiring is not complicated so much. However there is a short-circuit risk. 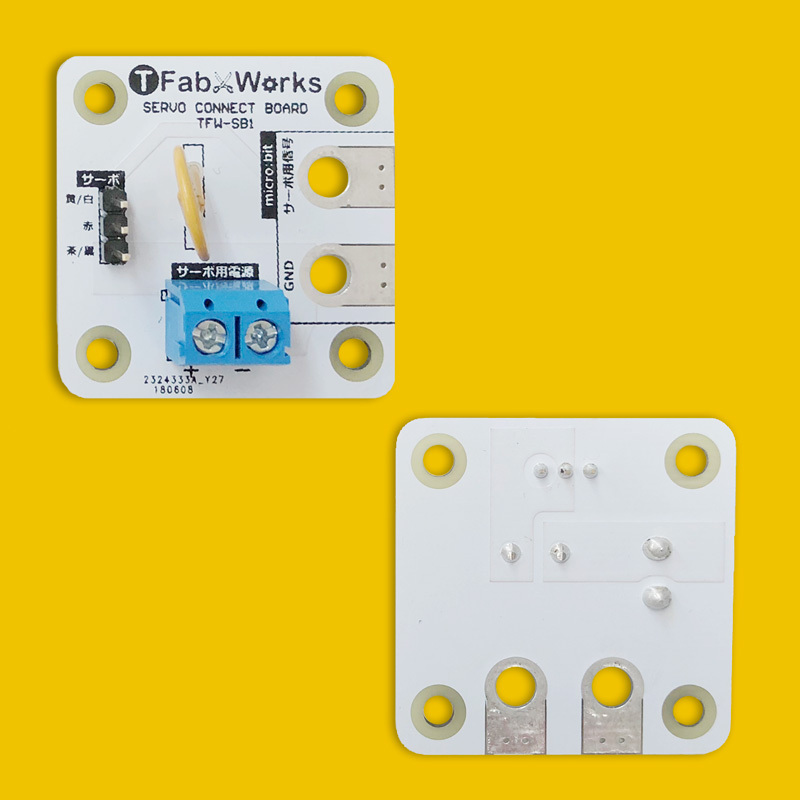 Using TFW-SB1, it achieves a simple-looking wiring state. What is more, the resettable fuse removes the short-circuit risk. 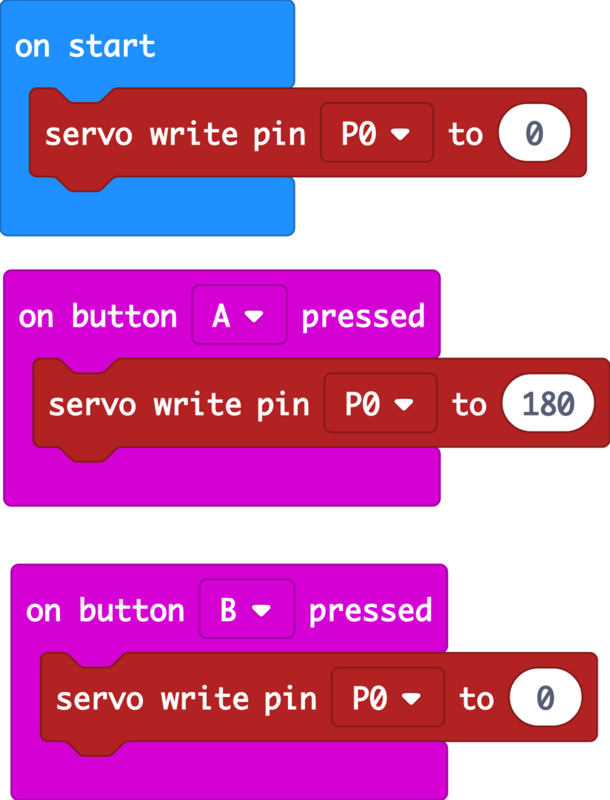 Program that servo turns around 180 degrees by pushing A button.